July 28, 2014 — Hepatocellular carcinoma (HCC) — the most common form of liver cancer — is the third leading cause of cancer-related death in the world, yet there are few effective therapies and virtually no predictive markers based on a molecular understanding of the disease. 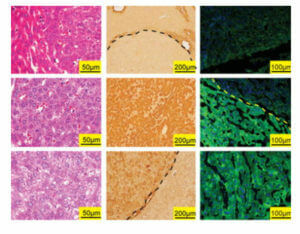 To increase current knowledge of HCC genetics, scientists at the Children’s Medical Center Research Institute at UT Southwestern have generated efficient and physiologic liver cancer mouse models with in vivo use of a powerful genome-engineering tool known as Transcription Activator-Like Effector Nucleases, or TALENs. Read the study published in Cancer Research.